Melissa Tuckey will be doing readings during Saturday of the Basilica SoundScape Event. The event is being called the “antifestival” because of its unique mix of visual arts, literature and music. The three-day fest, hosted by Basilica Hudson, features an eclectic sampling of musicians and performers, which begins Friday with Japanese singer-songwriter Miho Hatori. 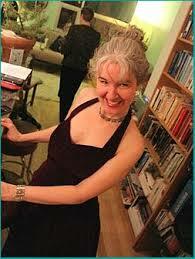 Melissa Tuckey and Hermione Hoby will do readings on Saturday of the weekend fest.